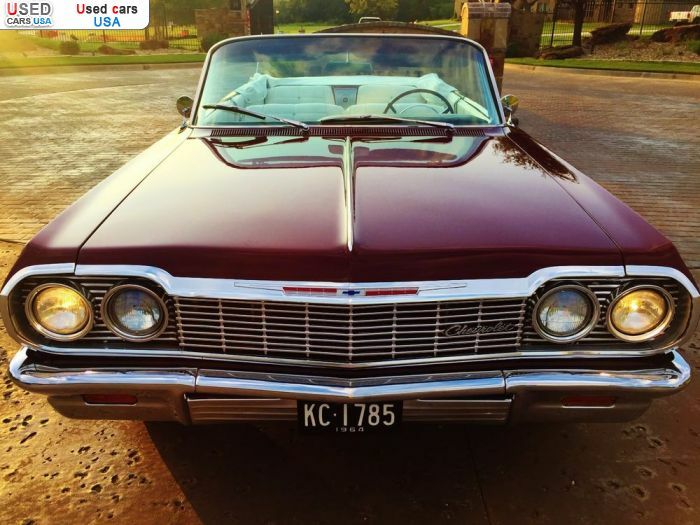 For Sale 1964 passenger car Chevrolet Impala, Ozona, insurance rate quote, price 24700$. Used cars. 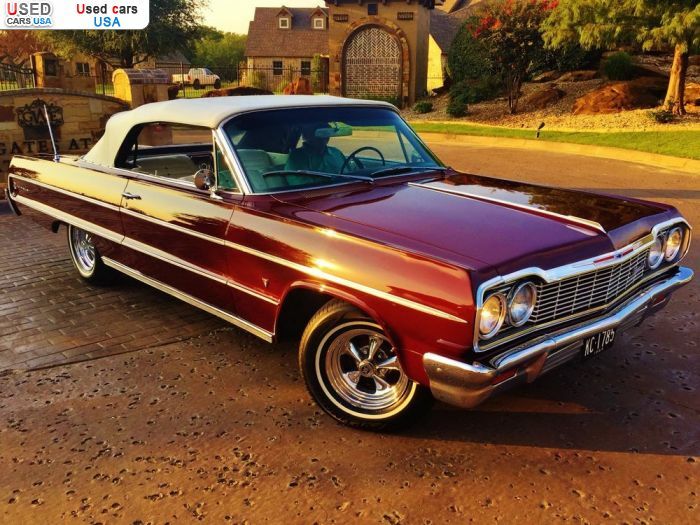 For Sale for 24700$ passenger car Chevrolet Impala 1964 in excellent condition, Ozona, insurance rate quote. Used cars. If you have any questions please email at: brettbllandrum@cabbies. net . other awards at local car shows. * New show quality, flawless base coat clear coat paint job. The cars body was taken down to bare metal. * The original motor is freshly rebuild and was balanced and blue printed with all new components and accessories. 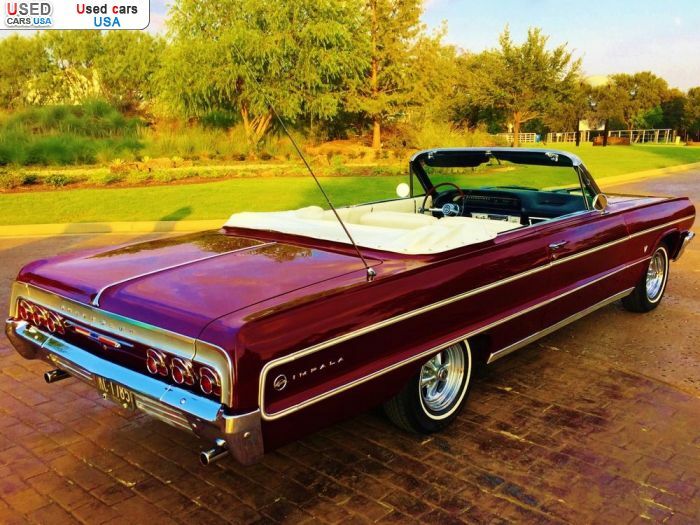 * Like new white convertible top with clear back window. * Spare tire with a new tire mounted . 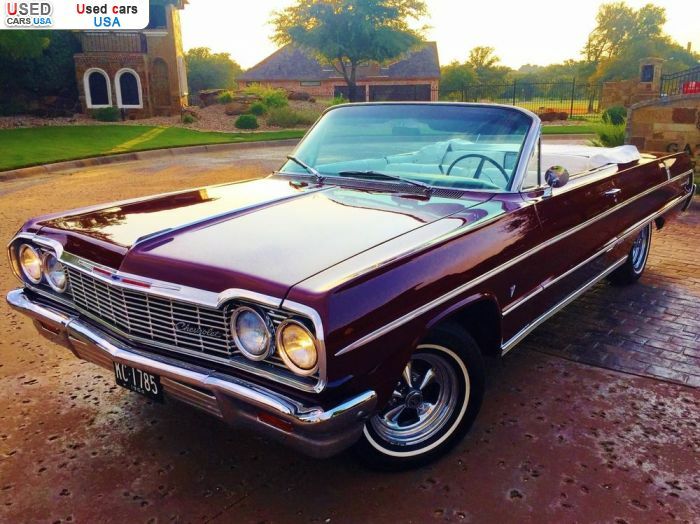 Only: 0	comments on "For Sale 1964 Chevrolet Impala ".